The Sacrament of Reconciliation and Penance, also known as Confession, is available every Saturday: 3:30-4:30pm (or by appointment), in the side reconciliation chapel of the Church. First Reconciliation is part of the preparation for a child receiving their First Eucharist. These Sacraments are celebrated every year in late Spring for all duly prepared and instructed second graders from St. Vincent de Paul's School and St. Vincent de Paul's religious education program. A minimum of one full year of instruction is required in advance. Proof of Catholic baptism is also required prior to reception of First Eucharist. 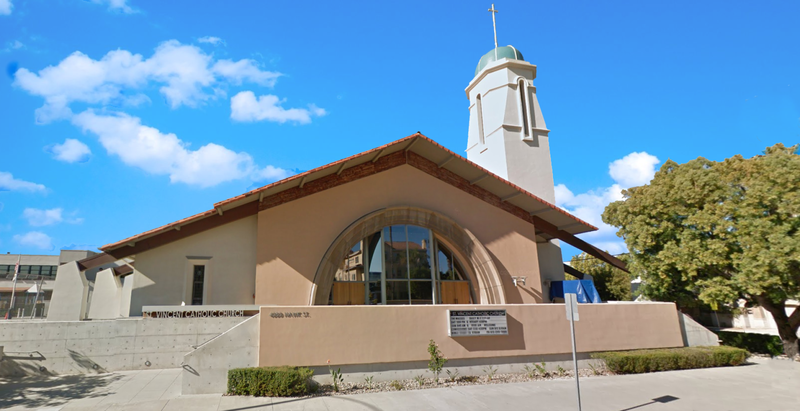 For further information for students in both the school and religious education programs and for students who are older than second grade, contact the First Eucharist coordinator, 299-3880. This sacrament goes by many names today, most popularly called the sacrament of reconciliation, penance, and confession. It is the sacrament by which Christ forgives our sins through the absolution of the priest. ​ The most ancient manual of the Church’s sacramental and moral life, the Didache, urged Christians to confess their sins before approaching the altar for Communion. It is, after all, by confessing our sins and receiving forgiveness that we are restored to normal family life. ​ The classic expression of Jesus’ doctrine [teaching] of confession and forgiveness is a family story. 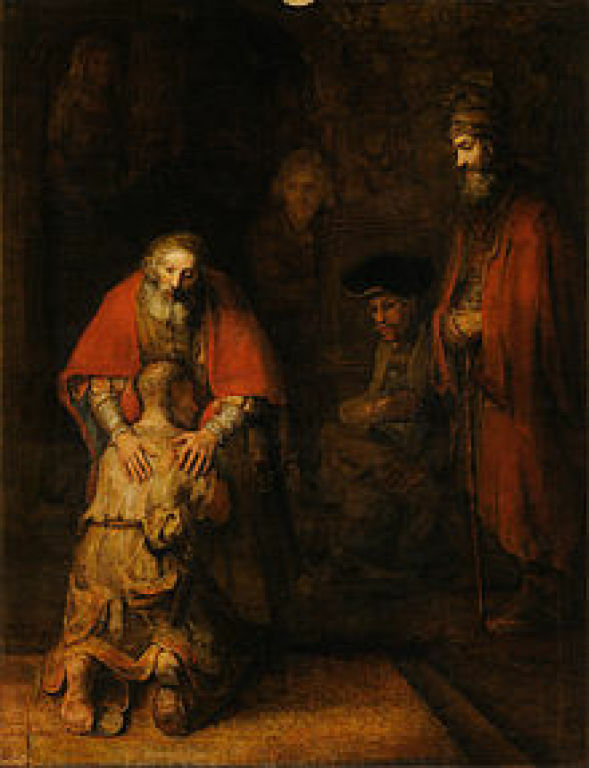 It is the story of the prodigal son (Lk 15:11-32). In that parable, we see the drama of sin, repentance, confession, forgiveness, and restoration to the family table. All the elements are there, allegorically describing the life Jesus would leave for His Church. We are sons and daughters of almighty God; but we stray; and so He humbles Himself to come down to us and give us what we need in order to come home and stay. ​ Jesus did not leave us orphans. He prepared His apostles to act as fathers in the Church. As fathers, they would forgive, like the father of the prodigal son; and, as fathers, they would help their children to get scrubbed and properly clothed for the family meal. Jesus said to Simon Peter: “I will give you the keys to the kingdom of heaven, and whatever you bind on earth shall be bound in heaven, and whatever you loose on earth shall be loosed in heaven” (Mt 16:19). Jesus told all the apostles: “If you forgive the sins of any, they are forgiven; if you retain the sins of any, they are retained” (Jn 20:23). ​ The apostles took Jesus at His word and extended that ministry to the penitents of their early congregations. St. James urged his hearers to “confess your sins to one another, and pray for one another, that you may be healed” (Jas 5:16). The context is key to our understanding this passage. James is not saying that anyone can administer the sacrament of confession. [rather, James is saying that the faithful should be reconciled to each other before coming to receive communion with each other]. He speaks of the sacrament of confession as a ministry among the duties of the “elders of the Church” (v14). The Greek word for “elders” is presbuteroi, from which we derive the English “priest.” The ordinary minister of the sacrament of penance is a priest or bishop.